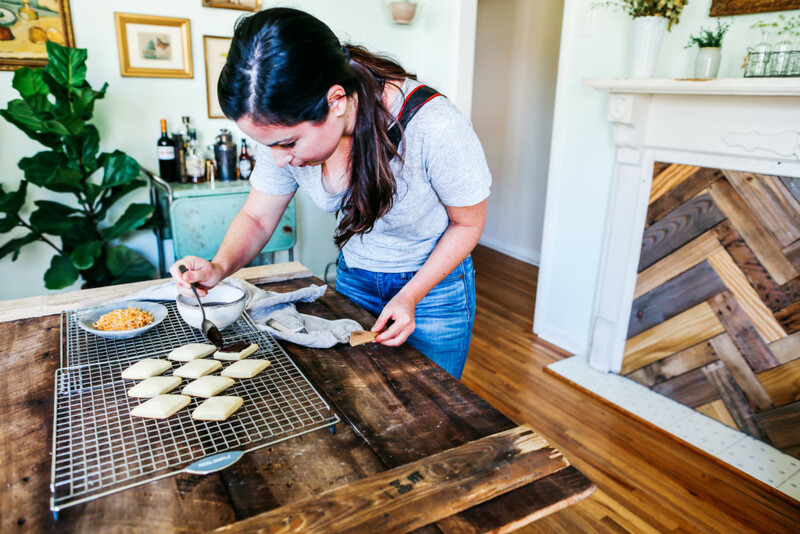 Renters often feel like their homes can never be as Pinterest-worthy as a space they own, but food stylist Hannah Messinger challenges that notion. 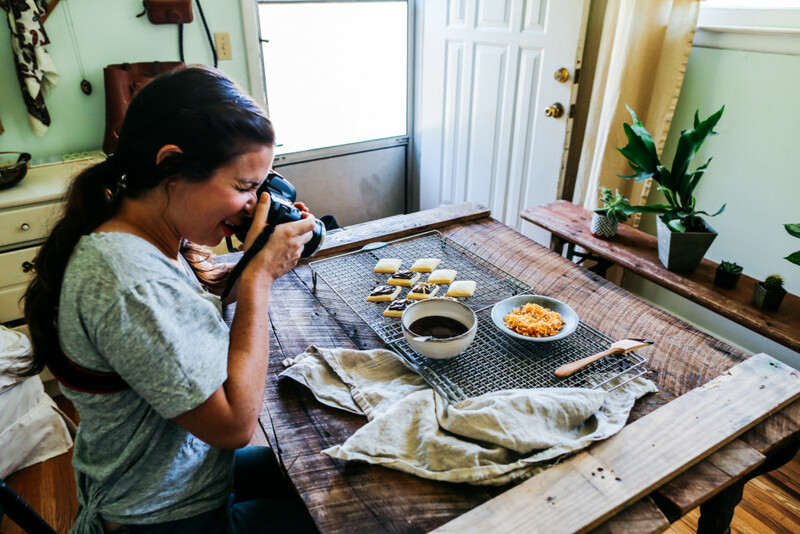 Messinger and her husband, Dan, live in East Nashville, where the front room of their 750-square-foot rental doubles as her food photography studio. But making room for her love of food and photography wasn’t easy. “When I first moved in I thought, this is never going to work,” she said. For photographing food, a house ideally would have a kitchen or dining room that faces north, with large windows on two adjacent walls. The lack of “ideal” light — not to mention a dining space — meant Messinger had to look at the entire space differently. “I got rid of our coffee table and couch and bought a table for the living room/dining room with leaves,” Messinger said. She also began to see the lighting situation in, well, a new light. Messinger’s lemons-into-lemonade attitude is how she got into food photography in the first place. She graduated with a degree in photojournalism in 2009, but had trouble finding a job in the media. After a year of shooting festivals and events, she decided to give still life photography a try and worked hard cultivating her skills, going to blogger conferences and making Pinterest boards with styling that she liked. Her first client, Olive & Sinclair Chocolate, hired her through Twitter. She quit her office job on a whim and then struggled with freelancing for two years until fellow stylist and friend Kyah Hillis helped her land a cookbook shoot, which sent Messinger’s career into the fast lane. While renting a home provides its challenges to cultivating a creative space, Messinger uses her Yaya’s condo in Florida as design inspiration. Her home’s pale, muted seafoam and apricot tones are paired with big, bold, flora and fauna pieces. She also uses a mixture of family heirlooms, flea market pieces and even junkyard finds to make her rental feel more like home. 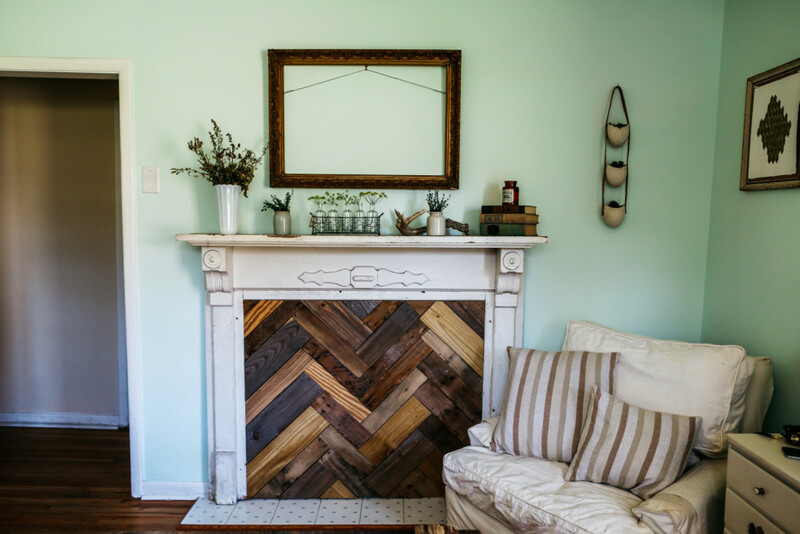 “[The junkyard is] where I bought a vintage mantle and Spanish hearth tiles for less than $100. Dan attached it to the wall in our living room with herringbone-patterned wood in the middle, and it makes the space feel so cozy,” Messinger said. Messinger says she could live in a small space forever because it has made her a conscious consumer who doesn’t buy a lot of junk. A small space, however, is not without its caveats.